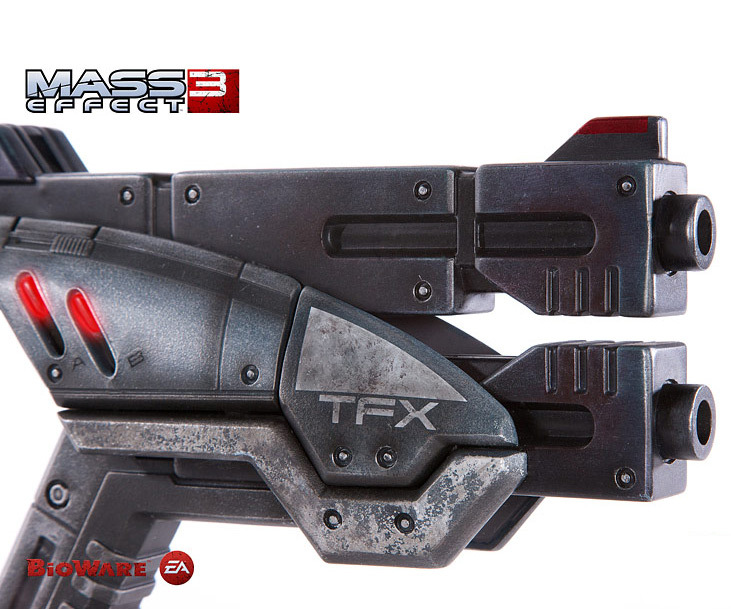 Prominent replica factory TriForce has released its latest video game firearm: Mass Effect 3's M-3 Predator. 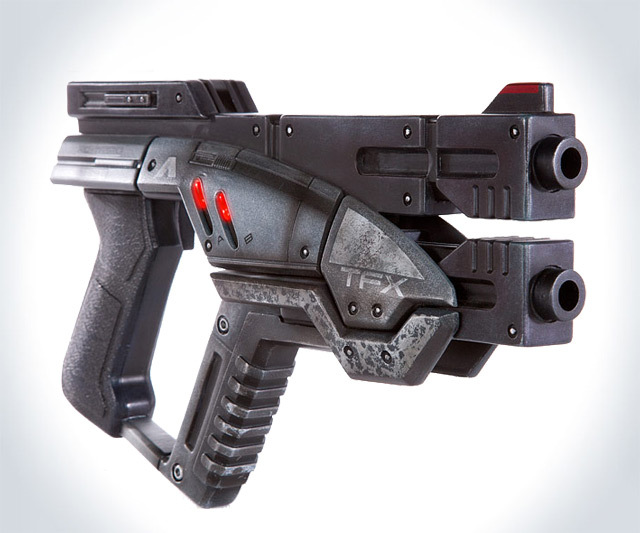 A 1:1 replica available only to the first 600 lucky possessors of money, the Predator is described as a "powerful, deadly, and relatively inexpensive weapon." TriForce's reproduction is brought to us by the bare hands of company artisans who cast, finish, and paint what appears to be a balls-on accurate emergence of the semi-automatic pistol from the locker of its virtual world. 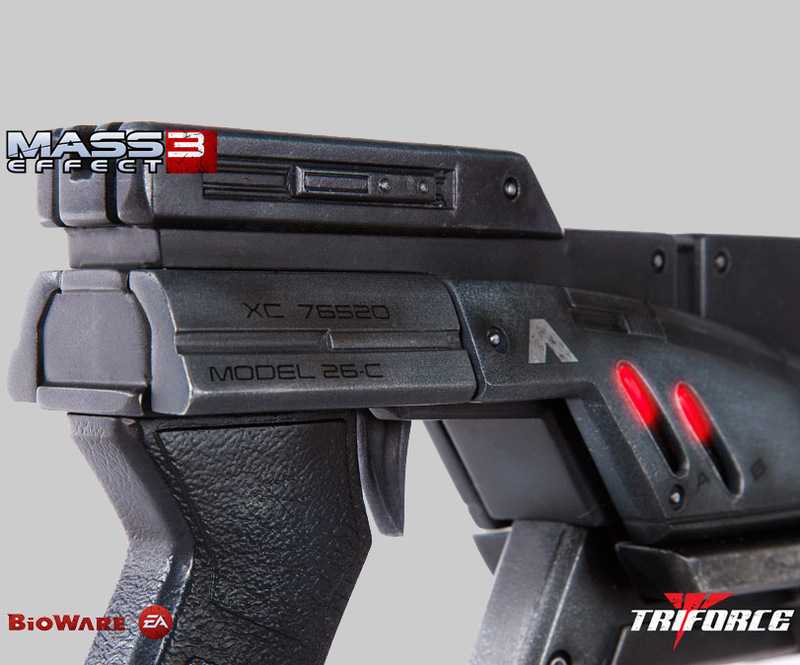 TriForce casts its Predators in polystone, and adds working LED effects for enhanced visuals. 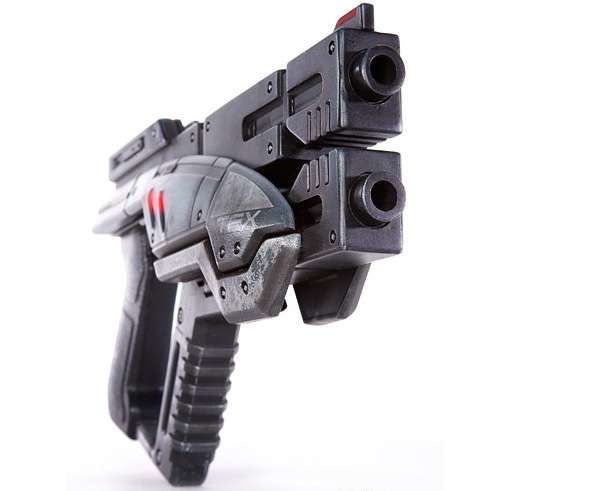 Each pistol measures 12" in length. 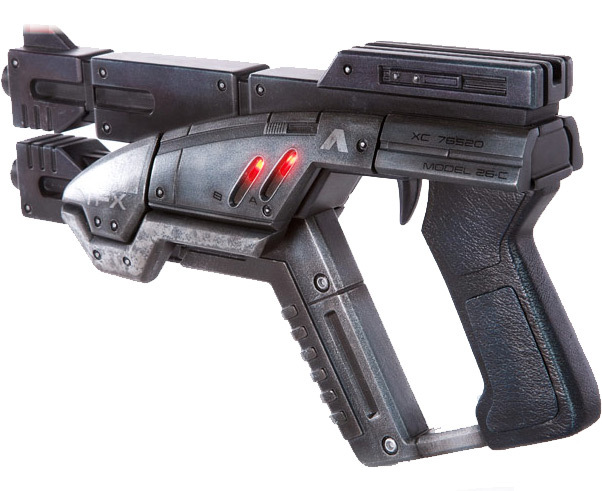 Weight is 10 pounds.